Also known as Old Grey Whistle Test. A British television music show, focusing on 'serious' pop music. It was commissioned by David Attenborough and aired on BBC2 from 1971 to 1988. The show was devised by BBC producer Rowan Ayers. The original producer, involved in an executive capacity throughout the show's entire history, was Michael Appleton. According to presenter Bob Harris, the programme derived its name from a Tin Pan Alley phrase from years before. When they got the first pressing of a record they would play it to people they called the old greys - doormen in grey suits. Any song they could remember and whistle, having heard it just once or twice, had passed the old grey whistle test. The show's first host was Richard Williams, features editor of Melody Maker, the music weekly. From 1972 to 1978, the programme was presented by disc jockey Bob Harris. After his departure, Anne Nightingale took over as host. Following the departure of Nightingale in 1982, Mark Ellen, David Hepworth and Richard Skinner also took turns as presenters. Andy Kershaw joined the series as a presenter in 1984. The same four presenters co-presented the BBC's television coverage of Live Aid in 1985. The series was cancelled in early 1987 by Janet Street-Porter, who had been appointed head of Youth Programmes at the BBC. The series ended with a live New Year's Eve special broadcast through to the early hours of New Year's Day 1988; material included 'Hotel California' by The Eagles, live from 1977, and 'Bat Out of Hell' by Meat Loaf. 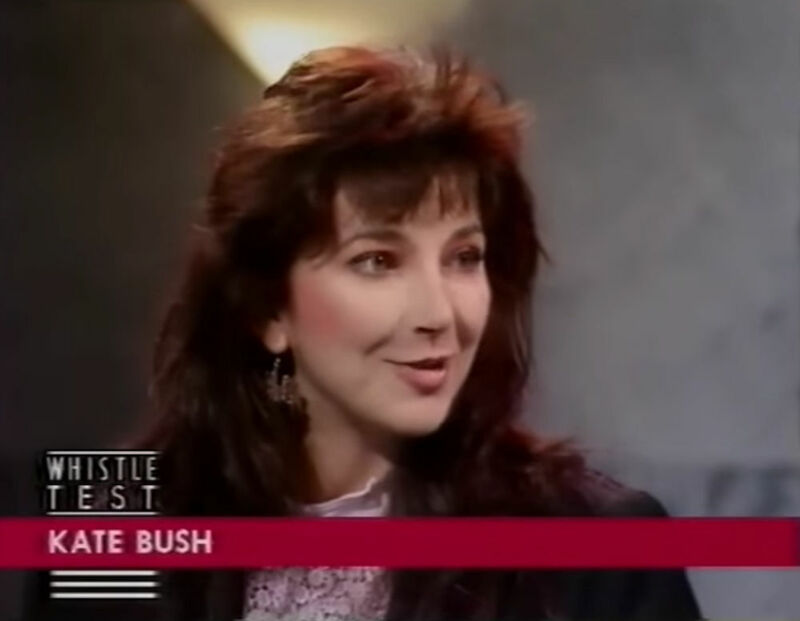 Kate Bush appeared on the programme twice: in 1982, she was interviewed about The Dreaming and on 8 October 1985 she was interviewed about Cloudbusting. The Old Grey Whistle Test. Wikipedia, retrieved 20 October 2017. Kate Bush Old Grey Whistle Test 1982 The Dreaming + interview. YouTube, retrieved 20 October 2017. 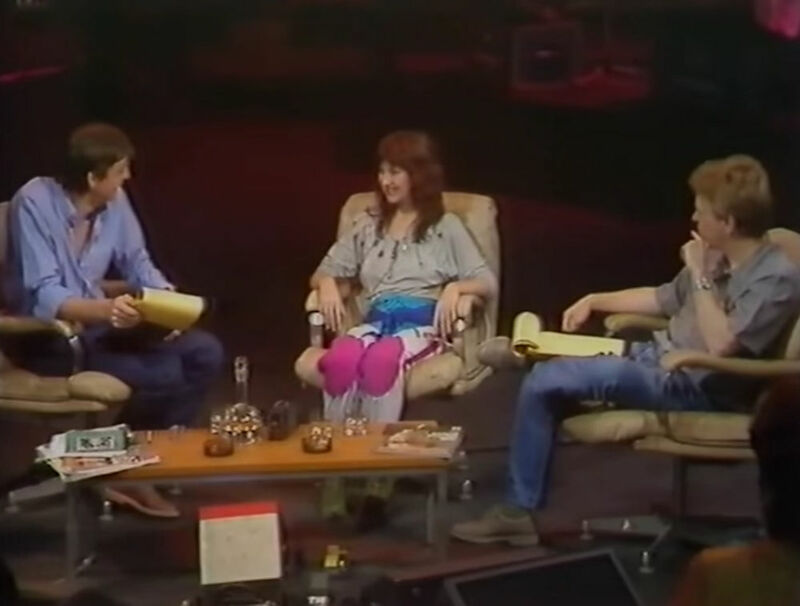 Kate Bush Whistle Test Cloud Busting and interview 1985. YouTube, retrieved 20 October 2017.